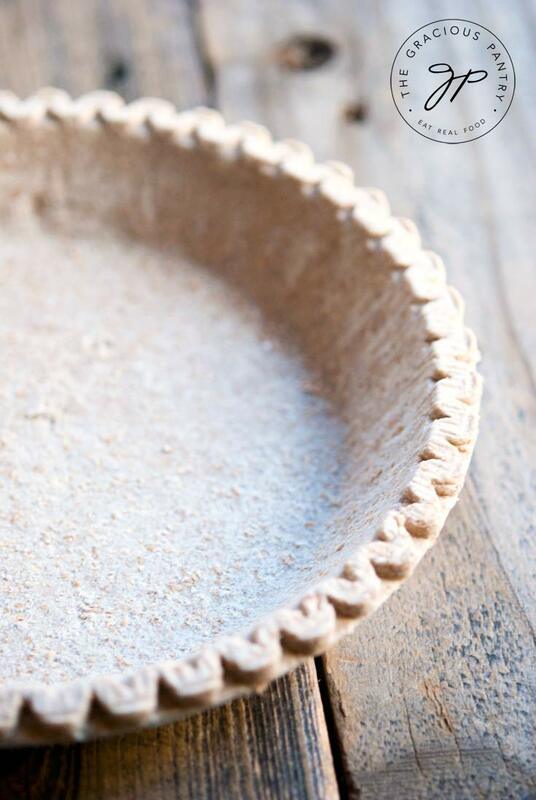 This clean eating pie crust recipe is a very simple dish to make. It comes together quickly and there are only about a million different things you can do with it. If you are making something savory, like the Clean Eating Pesto Quiche With Sun Dried Tomatoes I made a little while back, then try mixing in some Italian spice or garlic into the dough, and use olive oil. Pie crust doesn’t have to be boring. You just have to get creative. But stay light on the spices so they don’t overpower what you are filling the crust with! About 1/2 tsp. per batch of dough. This extra spice should compliment the finished dish, not overwhelm it. The great thing about pie crusts, is once they are filled, you can pretty much freeze any recipe you’ve made to keep on hand for one of those busy work nights. Or, just freeze the dough in the pie tin if you prefer a more “fresh” approach. Fill it last minute, pop it in the oven, and you’ve got a quick meal any day of the week! I should mention that I’m adapting a recipe I found on the AllRecipes.com site. Why reinvent the wheel? Especially if it’s a good wheel. 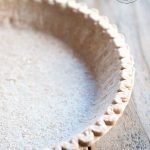 This easy-to-make, clean eating pie crust recipe is not only more nutritious than most thanks to being whole grain, it's also really delicious! 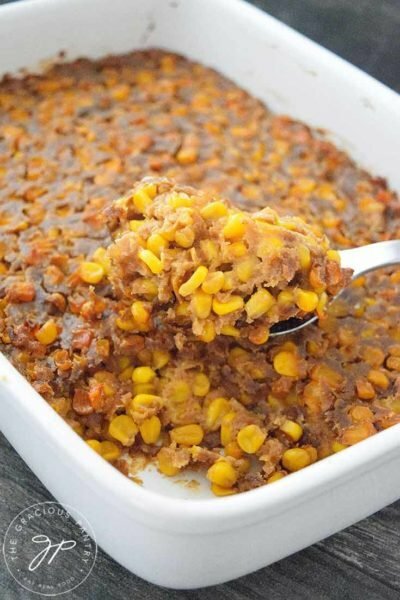 It's a heartier crust than store-bought, but it has a really nice flavor that compliments any filling. This recipe makes enough for two pie crusts so the data below is for both of them cut into 8 pieces. First, prepare your pie tins. Spray your tin with a coat of spray-on oil from an oil sprayer, or use your fingers or a paper towel to spread the oil over the pan. 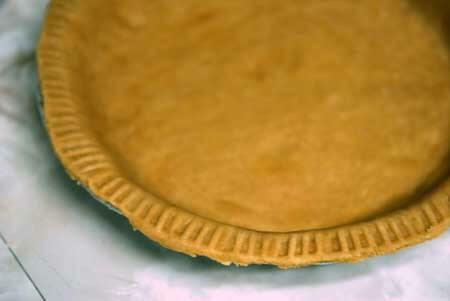 Shake your tin around until the flour completely coats the surface of the pie pan. Then set it aside. 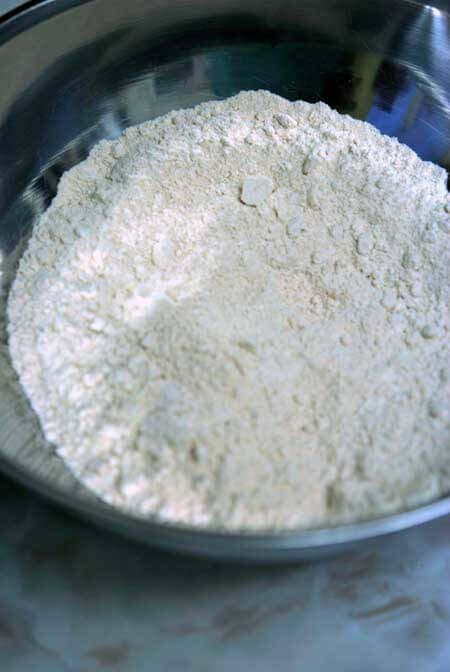 Put flour and salt into a mixing bowl and mix. Measure your milk and oil into the same cup. Mix well by hand until you have a firm dough. It takes some doing, so don’t give up. Place your dough on a large piece of parchment paper. Flatten slightly with your hands or rolling pin, and then place another large sheet of parchment paper over the top so the dough is sandwiched in between. 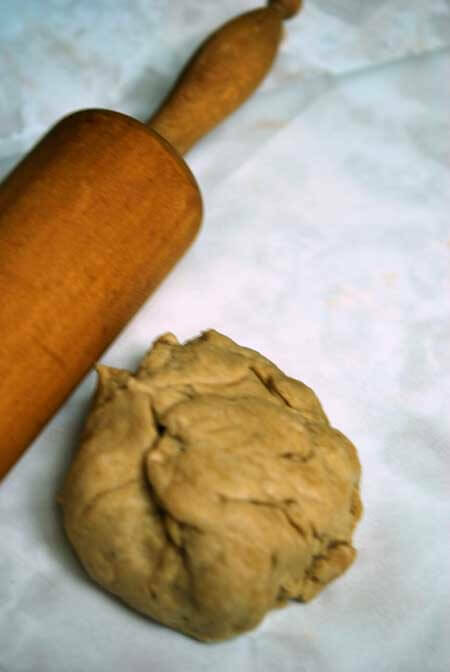 Roll with your rolling pin until your dough is about 1/8 in to 1/4 inch thick. You may need to lift the parchment occasionally or flip the whole thing over to get rid of wrinkles in the parchment. 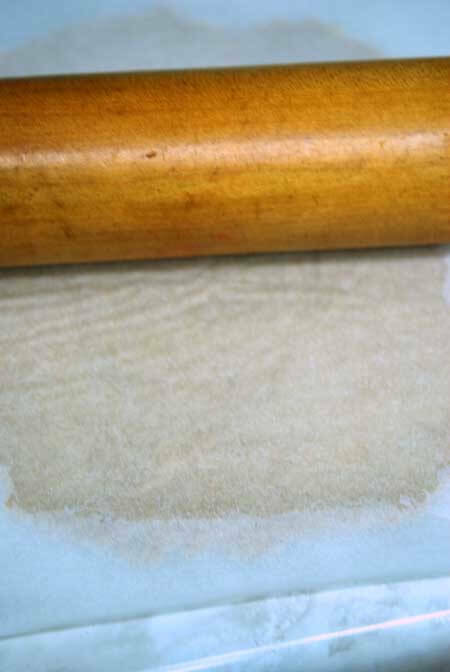 Remove the top sheet of parchment, and roll out any wrinkles left in the dough by the parchment. You should have a nice, even and smooth piece of dough. Divide your dough in half. Place your tin upside down on your dough. Flip the whole thing over, and mold the dough into your tin, being careful not to rip the dough. Cut the excess dough around the edge of the pan. Keep your knife upright so you get a nice even cut. Crimp with a fork, and then place the whole thing in a large zip lock bag. 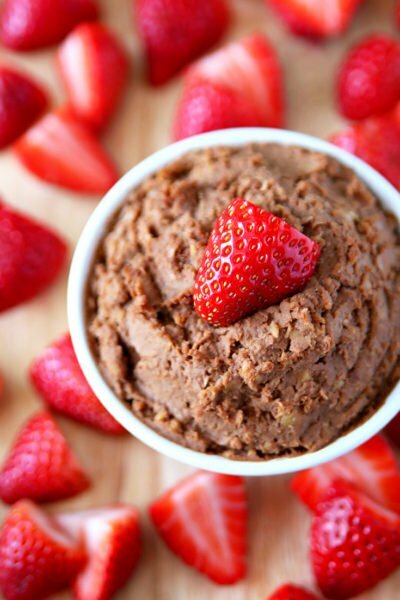 Place in the freezer and you’ve got Clean Eating Pie Crust any time you need it! I “heart” this recipe. 🙂 I’d like to try it with everything! Quiche, pies…how would it be as a pot pie crust? I’ve never done pot pies, but this recipe makes me want to. Pot pies is something I’ve been putting off simply because I’ve never done it. I’m sure they are not difficult, it’s just one of those recipes I’ve been procrastinating on. I really couldn’t tell you how the crust would be if it was used that way. The thing with a pot pie is, most folks want that really light and flaky crust that processed pot pies always have. This dough is not light and flaky like that. So while it may be good, you have to go into it knowing that it will be different than what you are used to. I don’t think Canola oil is clean. It is made from genetically-modified rapeseed plants. Erin – You can use whichever oil suites your eating plan. Try safflower oil or even olive oil. They will work just as well. I don’t eat any refined vegetable oils. (except on occaision) Extra virgin olive oil might give it a strange flavor. I would probably use extra virgin cold-pressed coconut oil as the best, cleanest option. Erin – Whatever works for you, will be best. It’s a pretty versatile recipe. Let me know how you like it! What temp should it be cooked at? Heather – It depends on what you’re making with it. I bake most things at 350 degree F. Especially if I’m making a quiche or something like that. Is the calorie count/ fat content really THAT high ?!?!?! Diane – For the crust, yes. But keep in mind that you are not eating the whole crust in one sitting. If you look at the recipe for my pesto quiche(in which I use this crust recipe) you’ll see that the fat content is actually pretty low. Plus, the fat content will depend on how small of an amount you use (how big of a dish your pot pies get cooked in and how much dough you need to cover them). And lastly, the fat used is a healthy fat. While fat is fat when you’re counting grams, the health benefits to good fats are well documented. So approach it with moderation, and portion your dough out with consideration for the fat content. I think you’ll find that you can actually keep the fat content pretty low when you include it in other recipes. Love this answer! Recipe looks great, can’t wait to give it a try! Thanks! I would like to try this recipe with the Clean Eating Pumpkin Pie for Thanksgiving but I don’t do Soy Milk. Can I substitute the soy milk for nonfat milk? I also wanted to cook it the night before, since I’ll be using my oven for the turkey on Thanksgiving, can you give me any pointers, please. Susanne – Yes, you can substitute milk. But I suggest 1% to help with texture. However, I’m sure fat free will work as well. You can certainly bake the pie crust the night before. No problem at all. Just keep it in a cool/cold place overnight. Can you subsitute skim milk for the soy milk in this recipe? I have a soy allergy (one of the reasons I started eating clean!) so this wouldn’t work so well! Thanks! Court – Yes! Regular milk or almond milk will work fine. I am VERY new to eating clean. I was a little concerned about Erin’s post. Is cocunut oil the only clean oil out there? What about the wildtree grapeseed oil? Any advice you can give is appreciated! Thanks! Dawn – No need for concern. But if it worries you, grape seed oil works well as does avocado oil. Enjoy! I made this yesterday with the Broccoli Mushroom Quiche. So good! I loved the crust. Lisa – Wonderful!!! It’s such an all purpose recipe. I love that about it. I can make just about anything with it! Becky – That’s wonderful! I’m so happy you all enjoyed it! I’d love to try this but, I’ve been looking for whole wheat pastry crust everywhere to no avail! I live in a small town so idk if I’ll ever find some :S where do you normally get yours? Or where can I find it? Cee – I get mine in bulk at Whole Foods. Most health food stores will carry it. But if you really can’t find it, I would just order it online. Bob’s Red Mill would be a great place to start. Good luck! I new to clean eating. I read where you gave alternatives to dairy, is diary not considered ‘clean’? if I do not have issues with dairy, Could I sub Milk for the soy milk? I do not like soy productsfor my family, personal preference obviously, and was trying to come up with a good substitute. I suppose for something sweet almond milk but what about savory dishes. Amanda – Yes, you can use regular milk in any of my recipes. I don’t use it because I cannot tolerate milk. But you can always substitute in equal amounts. Almond milk is not sweet unless you purchase it sweetened. I buy the stuff that is unsweetened and trust me, it’s anything BUT sweet. Unsweetened rice milk is also another option. What does clean eating mean ? No cow’s milk,butter or cow’s milk cheese? Lee – Dairy is fine so long as it’s low fat or non fat. Personally, I can’t have dairy any longer, so I don’t use it in my recipes anymore. I love your website. Just discovered it last night. I was wondering, do you think this crust would work well for crostata? Apple-picking season is around the corner! Blackbird – This dough is pretty heavy by weight. But if you roll it thin enough, it should be fine with apples. I wouldn’t recommend it with softer fruits, but apples should work fine. Enjoy! 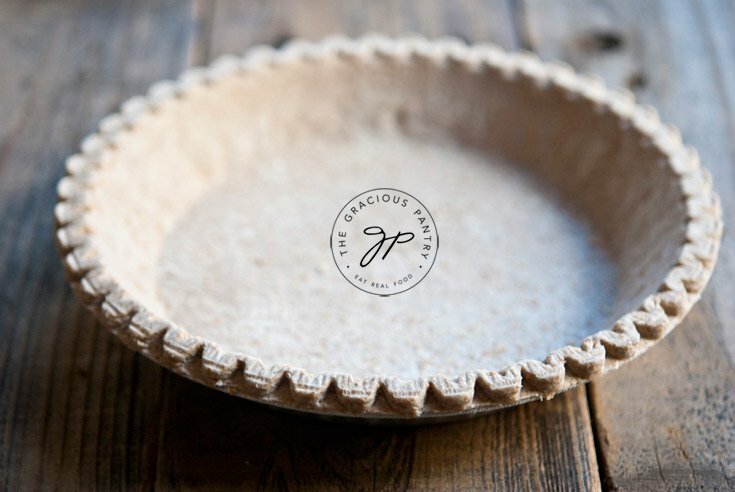 Liz – the pie crust defrosts so quickly that you don’t need to worry about defrost time. Just fill it and stick it in the oven. Enjoy! Do you know what flour I can substitute for whole wheat pastry flour to make it gluten free? Josephine – I’ve heard almond flour is pretty good, as is coconut flour. However, they will absorb different amounts of liquid. So you may have to play with that balance a bit. Josephine – Let me know how it turns out! I used cassava flour (1 cup) and the rest quinoa and rice flour. You have to really work with the dough in the bowl maybe 10 minutes or so and even when rolling it out on parchment. I would split but when I kept rolling it would come together. It turned out great baking and eating. I cooked all for the 45 minutes as the recipe called for but the crust was not browning but the rest was bubbling. I turned on the broiler with the pies still on the middle rack in the oven at around 40 minutes and it browned perfectly in about 2 minutes. I took the pies out and let them cool for about 10 minutes before eating. I also used Almond milk. It was delicious. Good luck on the crust. Trude – Thanks! Let me know how the pies turn out! So, do you think this dough could be made with Almond Milk instead of Soy Milk? I can’t eat dairy or soy. Amy – Sure! I use almond milk all the time. Heather – Sure. That should work. Enjoy! Melanie – Your welcome! Enjoy! Dolce – Any oil will work. I’m using safflower as I make it today. enjoy! Can you use butter instead of the oil? Denise – I don’t recommend it for this recipe. Usually yes, but for this one, the oil works really, really well. You could always experiment though! Is safflower oil healthier than canola? My husband’s big request for Thanksgiving was a blackberry pie, his favorite. I decided to throw him a curve ball and make it with this pie crust. I have never made a pie crust in my life, and this was too easy. He was very hesitant to try this pie (he does not quit get the eat clean way of life yet) and asked for a very small piece. And now the drum roll —- he asked for seconds! Yes, it was that good. I can see using this pie crust for pot pies as well. Thanks for such a great and easy recipe!! Janick – That is correct. It’s enough for 2 standard, 9 inch crusts. You ‘ll even have a little left over and I’ll be posting a recipe for what to do with the leftover dough very soon. Let me know how it turns out! 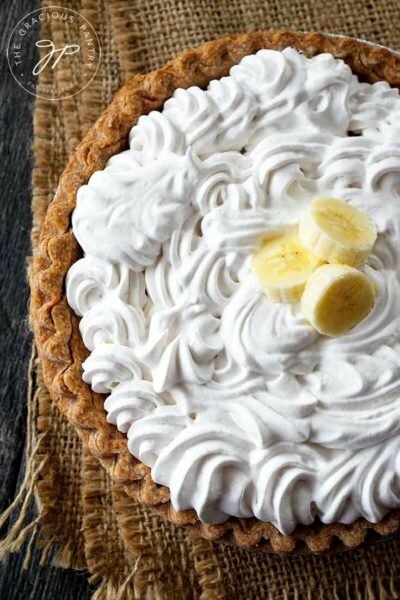 I do not have a Pie pan and I need to make this now with no time to run out and get one. I do have an 8×8 glass pan and a couple 9inch round pans, would one of these work? Talisha – The crust will bake in whatever dish you want to use. The question is how you want your finished dish to be shaped. Enjoy! Is it ok to use coconut milk instead of soy milk? Evie – I don’t see why not. Should work okay. Let me know how it turns out! Debi – No, I didn’t meant that. I meant after rolling. It becomes a large piece of dough and it’s easy to cut in half once rolled. But you can do it any way you choose. Chris – I’m confused. White whole wheat flour is wheat too. Just a different variety. Ashley – No, they are not the same. The pastry variety is a “finer grind” and has less gluten in it. A good middle ground (and easier to find) is WHITE whole wheat flour. Jennifer – Wow. Excellent question. I really don’t know. I do know that pastry flour has less gluten in it than other flours. So I would be inclined to say that it is a different type of wheat. But I’m really not sure. I’m sorry. Hopefully there are some other readers who can chime in here. Goodolsuthrngrl – I believe there is a difference in gluten content, but I’m not positive. Can you use melted butter instead of oil? Interesting. Maybe it’s a regional thing? I don’t have anything here on the market with those names. But thank you for the information! Read through all the comments and even through some of your recipes using this crust. Do you not have to prebake it?? I never prebake this crust. I just fill the pie raw and bake everything at the same time. Something is off. Perhaps you are at a different altitude than me and need to adjust the liquid? What type of flour did you use? This isn’t the softest dough ever, but it’s nothing like what you are describing either. Hmmm…. how much cinnamon did you use? It’s possible that there was just enough to make the dough dry. Cinnamon can soak up some liquid if there’s enough of it. That, or something was measured incorrectly. You can, but the crust will be much more dense and dry. Use the same amount of oil regardless of what type you use. You could try 1/2 tsp. cinnamon. Whatever you use, keep the spices in smaller portions because you only want a hint of flavor. You don’t want it to overtake whatever you fill the crust with. Can I use a glass pie pan? Interesting. I love it with pie! But it’s all individual tastes. I hope you’ll enjoy it with a savory dish. Can I subsitute a different flour (oat or almond, etc.) instead of the whole wheat pastry flour? But you might have to adjust the liquid content slightly. I did not have enough for 3 pies, it was very flaky and had to add water to keep it together. Any advice? Did you use a different type of flour? Perhaps you are at a different altitude. Adding more liquid was the correct thing to do. Let me know how it turns out. I am about to embark on making this pie crust. I am going to half it and add ground flax seed to it. If all goes well, next time I am going to substitute the whole wheat flour for a combination of gluten free flours. Do you have to mix by hand? I’m so used to making dough in the food processor. I’m also very new to clean eating, so why can’t you use pastured butter from cows not treated with antibiotics or hormones? Debi – I’m sure it would work just fine with a paddle, and you can use butter, but this recipe really isn’t formulated for that. So you may have to adjust the other ingredients. Not sure as I’ve never tried. Can you use applesause to replace oil? 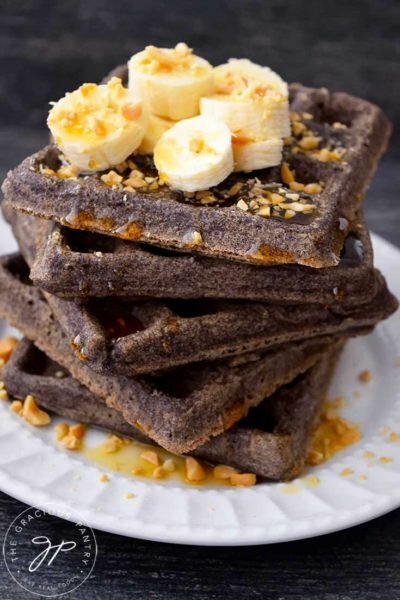 I am doing the clean eat diet and was wondering if I can use sprouted whole wheat flour instead of whole wheat pastry flour? If not, how about half&half of each? Also would walnut oil work? Lauren – Yes to both, although, with the different flour, the crust will be a bit more dense. But good just the same! So glad to see this! My 10 year old son loves pastries (meat and potato pies – native to Cornwall and Upper Peninsula Michigan) but we have had a difficult time finding a healthy crust — mostly hydrogenated vegetable shortening. He was so sad to see the ingredients… the boy is a voracious label reader! This will be a good starting point for creating the perfect “clean” recipe… unless you would like to do that for us!? Sue C – I’m a little confused. 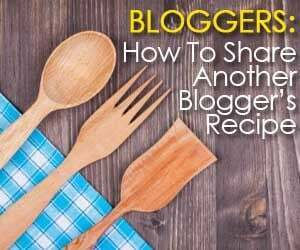 What is it you want a recipe for? Does this recipe not work for you somehow? I’m looking for a clean recipe for a pasty. (Cornish meat and potato pie) not pastries. Where we live in Michigan, they are quite famous in our Upper Penninsula. We ate several on vacation and are trying to create a clean recipe to make at home. This will get me the crust portion of the meat and potato pie I think. They are not baked in a pie pan, but rather on a cookie sheet, when filled, folded over, edges sealed. Next up the filling. I think the crust will be the hardest part, so I was happy to find this. Has anyone tried freezing the dough in a disc wrapped in Saran Wrap vs already rolled out in the tin? Just thinking its easier to store and takes up less room. Laurie – I haven’t, I’m sorry. But you could give it a shot! What adjustments would I need to make of I use plain whole wheat flour instead of whole wheat pastry flour? I read that the pastry kind is more finely ground. Could I just grind it a bit more in a magic bullet before using it? Tracy – Grinding it won’t work. WWF and WWPF are actually made from two different types of wheat. To be honest, if there are any adjustments to be made, I don’t know them. I never adjust the measurements when I substitute either way. I just use the same amounts across the board. I’ve never had a problem with using equal amounts. That said, the regular variety tends to have more gluten and is more dense and coarse. So that’s what you will get in your finished product as well. If you plan on doing that with this particular pie crust recipe, you should be fine with equal amounts. Pie crusts tend to be pretty forgiving. Hi! Just wanted to let you know that I made this crust yesterday GF and DF and it was really good! I used a GF flour that I found at my Costco and almond milk. I also used coconut oil instead of olive. I made it for an apple pie and it worked wonderfully. I was able to make 2 pie bottoms and then I crumbled up the rest, mixed it with some maple sugar and cinnamon and it was awesome. My dough was very firm and didn’t stick together well, but I was able to press it into the pan and be ok. It also didn’t really hold it’s shape once cut and served, but who cares? It was delicious! (It was served with a vegan carmel sauce I found a recipe for and “cleaned” up) Thanks for the recipe! Will be making again, very soon! I made the dough last night and plan to make an apple pie after going apple picking today. Thanks for confirming coconut oil worked. I used safflower, but thought about using coconut. Can’t wait to make the pie. So I made the crust. It was very tough and difficult to roll out, so I added more almond milk. It tasted great, though more like shortbread than pie dough. Lo and behold, I realized I had only used a quarter cup of milk rather than 3/4 cup. D’oh. I don’t know the last time I did something like that. It tasted great with the apple pie, just not a pie crust. Will make again with the right amount of milk. I also added some cinnamon to the dough which was nice. For the pie fillingn, I adapted a recipe that users cream, brown sugar, vanilla and cinnamon to pilot over the apples. I used fat free half and half with no discernible difference. I also made a small ramekin using almond milk. I thought it was pretty decent. My son (almost 12) gave it a 7.75. My boyfriend thought it was ok. He thought it tasted too flowery. It’s funny because I assumed he meant flour-y. Took a few minutes to get on the same page. Anyway, I think I’m going to make your apple pumpkin muffins. Went apple picking yesterday. I may do a different recipe though because I’ve baked with pumpkin the past two weekends. Laurie – Ya, if you change a recipe a lot, it’s always a gamble. But glad it all worked out! Yah. Except I didn’t meant to change it! For what it’s worth, my boyfriend liked it. And, I didn’t realize the mistake til later. Asi said, it tasted like shortbread which is yummy in its own right. I am really enjoying your blog. I’ve been a fanatical baker for years (since my son was born almost 12 years ago), but hadn’t baked much since trying to eat healthier (it’s that turning 45 thing). I missed baking and needed it to balance my crazy life as a divorced mom and working 50 or so hours a week. I’m now hooked on baking clean. I gave my personal trainer a muffin I made this morning and she loved it! The trainer is my 2x week treat to myself! Laurie – Good for you!! I hope the next attempt at the crust goes more to plan. Would sifted whole wheat flour or oat flour work? And is coconut oil a good oil for this? Elizabeth – It will work, but the result will still be a little more coarse/dense. Coconut oil should be fine, but you’ll have to work it in a bit more with your hands. I’m not sure if this is what the previous comment is about so I’m going to ask anyways. The difference between pastry flour and all purpose flour. I would like to make this today but only have all purpose and would rather not have to go to the store. Britne – If you want to eat clean, neither will work. If your goal is clean eating, you need WHOLE WHEAT pastry flour. All purpose is very processed. That being said, if they are made from two different types of wheat. They have different amounts of gluten in them, and the pastry variety has a finer “grind”. It is whole wheat. I figured all purpose can be any type, it just means that it can be used for anything guess I was wrong. i found a conversion chart from “normal” to “pastry” that says to just use a TBS less per cup. will this work? Britne – Sure. I’ve always just used equal amounts, but you can always start with the smaller amount and add the extra tbsp. if you feel you need it. I think I’m the only one who noticed that the ingredients list calls for 3/4 cup of milk, but the photo in the.directions show 1/2 cup… Which is it? Lauren – Thanks for noticing! I think I may have adjusted it at some point, but I am making them again this weekend, so I’ll double check. For now, I do know the photo is correct, so stick with the 1/2 cup. Just use the extra 1/4 cup if needed for a good dough. I’ve made many of your recipes and have even modified some and have to say, I’ve loved every single one! I’ve made this one twice now, used for a quiche and as a layering desert in place of phylo (lol, it was interested, but still very tasty)… so sweet & savory, very basic & versatile. As I gear up for the holiday, I’m wondering if I may prepare this a day ahead and store the crust in the ziploc in the fridge, but not freeze… would this work or should I just freeze it anyway and let it thaw the next day? Just wanted to save time on the thawing process if possible. 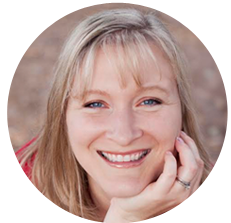 Stephanie – So glad you’re enjoying my recipes! 🙂 Yes, this will be fine in the fridge for one day. But it will be very soft, so handle with care. Enjoy! Do you think I could be bold and try subbing the oil for applesauce? I know it works in most pastries, but I’m not sure about this. I tried this and it only filledo ut one pie pan for me. What could I have done wrong? Also, I sprinkled cinnamon on it but it was still bland. 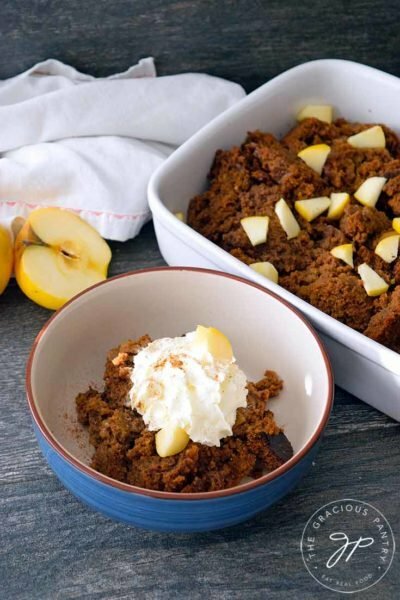 What are your thoughts about adding honey and cinnamon to make it sweeter? Kiran – You can certainly add honey if you like, but it will make the dough stickier and harder to work with, so you’ll have to play it by ear on that one. But really, pie crust never has much flavor. It’s all about what you fill it with. I would guess that you either didn’t roll it thin enough, or something got measured incorrectly. I made this same recipe last night and it definitely makes enough for 2 crusts. How much milk did you add? It was my first time ever attempting pie crust. I believe I followed directions to the “t” but I will attempt it later this month again and report back to you. Thank you for reading and responding. I am a HUGE fan of your site. Kiran – Thanks! And yes please, let me know how it goes. What is the difference between whole wheat pastry flour and whole wheat flour? Could I use the whole wheat flour instead? Hi there, this looks like a great recipe. I’m actually in the middle of making it right now and because I couldn’t find the pastry flour I used the regular whole wheat instead. The only problem is that’s not forming a dough AT ALL. It looks like a graham cracker crust right now. I already added 1/4 cup more liquid but don’t know what else to do. Any suggestions or should I just bake as is and hope for the best? Thanks. Keri – the regular stuff will soak up more liquid. So add more liquid for sure. The thing is, when you do, you also have to knead the dough for a long time to really incorporate it. It’s easy to add too much if you don’t. The dough seems really crumbly and as if it lacks moisture…I added some water but I’m still not sure if it will hold as a single piece when I roll it into a circular shape. Thanks! Rachael – Did everything get measured correctly? You can always add a little extra oil or milk too. It should be a dense but workable dough.